Twitter accidentally told thousands of users that their accounts had been compromised and passwords were reset. Twitter mistakenly told thousands of users that their accounts had been hacked Monday night. 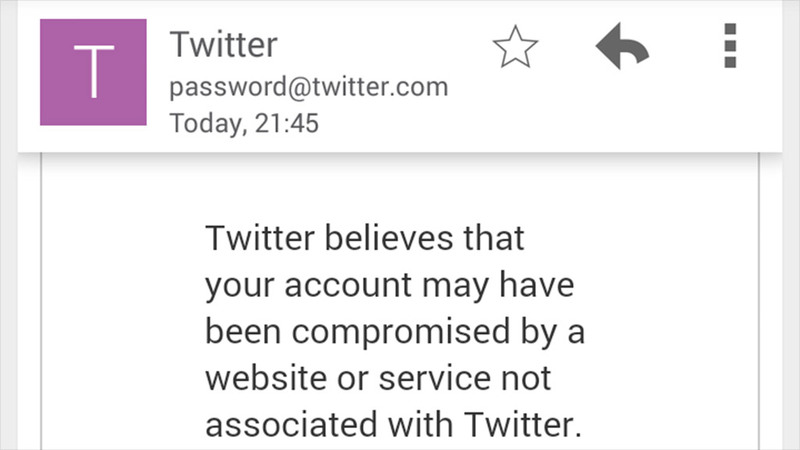 Emails sent from password@twitter.com told the Twitter users that their accounts "may have been compromised by a website or service not associated with Twitter." The email also instructed them to create a new password, saying that Twitter had proactively reset their login credentials. Twitter (TWTR) confirmed Tuesday that those emails were sent by accident. "We unintentionally sent some password reset notices tonight due to a system error," said Twitter spokesman Jim Prosser. "We apologize to the affected users for the inconvenience." Prosser declined to comment about how many were affected, but thousands of Twitter users angrily tweeted about the incident Monday night. "Thanks twitter for resetting my password for me. That's very helpful and not at all annoying.. #Sarcasm," wrote @TheRisenKnight. Many of the affected users warned followers not to click on their links. Others thought the emails were part of a phishing scam. The good news is there was no breach and the passwords were never actually reset.